An intimate evening discovering a world of energetic and colorful designs of THOMAS SABO 2017 Spring Summer Collection. Get ready to be inspired by far-flung traditions and cultures. The African designs with powerful colours and floral patterns are the new THOMAS SABO Sterling Silver Collection makes a real impact with its distinctive attention to detail and expressive messages. Inspired by emotions, each item of jewellery is a symbol of dreams lived, experiences made together and mutual respect. Metallic look meets warm, earthy tones. Spring Summer 2017 heralds the arrival of colours, patterns and shapes of Africa into the THOMAS SABO design language. I am in love with their latest exquisite and rich colours od Africa Collection and the elegant Daimonds collections. The pendants, earrings, necklaces and rings from the Africa range have a strong graphic flair as a result of their innovative layering technique. Culturally inspired design codes such as spearheads and plait patterns and the materials used create truly exciting light-dark contrasts. Glam & Soul Africa with its warm and earthy colors from steppe landscapes coexist besides pieces with strong light / dark contrast; blues stones like lapis lazuli add the colour palette of the sky. 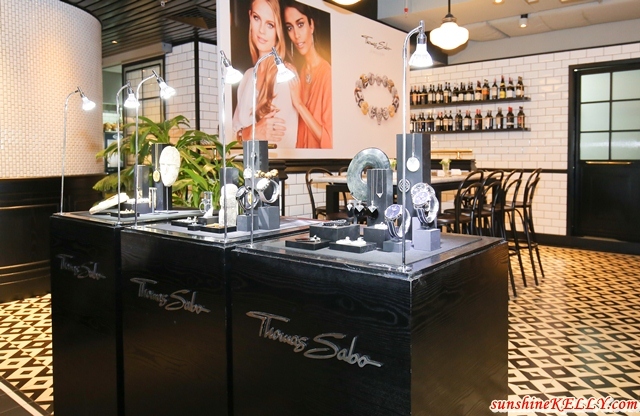 THOMAS SABO Malaysia recently launched their latest 2017 Spring Summer Collection at the BLVD House right in the middle of bustling Kuala Lumpur city. 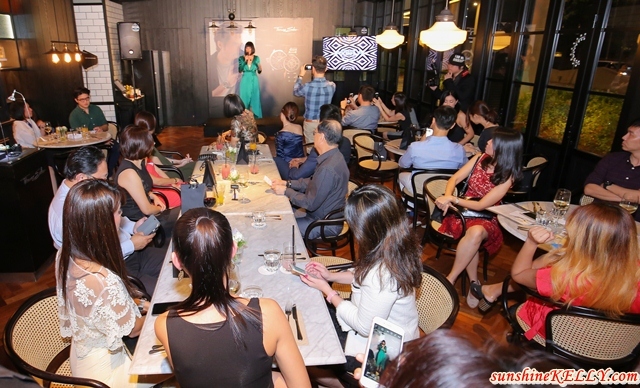 It was an intimate event that we get to mingle, admire the new collection, and catch-up with the familiar faces plus new friends. In addition to these, the ladies’ collection features white, faceted diamond floral cut-out motifs and maritime mosaic designs. With a Rock ‘n’ Roll attitude, feminine interpretations of the skull motif mesmerize, while the new Diamond Bars are powerhouses of minimalist design. Bracelet are interpret iconic Rebel at Heart design codes and materials such as obsidian, imitation turquoise, tiger eye, and red reconstructed coral as well as imitation malachite, dolomite marble and blue sodalite. Rebel at Heart Power Bracelets, the new XXL statement stretch bracelets of the powerful Rebel at Heart collection carry meaningful message. The THOMAS SABO Power Bracelets with XXL Beads crafted from tiger’s eye, jasper, obsidian or lapis lazuli for men and women are the impressive energisers of the collection. They become veritable statements with their striking designs and the iconic highlights. Good Karma! The Karma range – part of the Watches Collection – now includes men's designs for the very first time. Vintage-look leather straps and guilloché dials place the round cases of the Rebel with Karma watches centre stage. 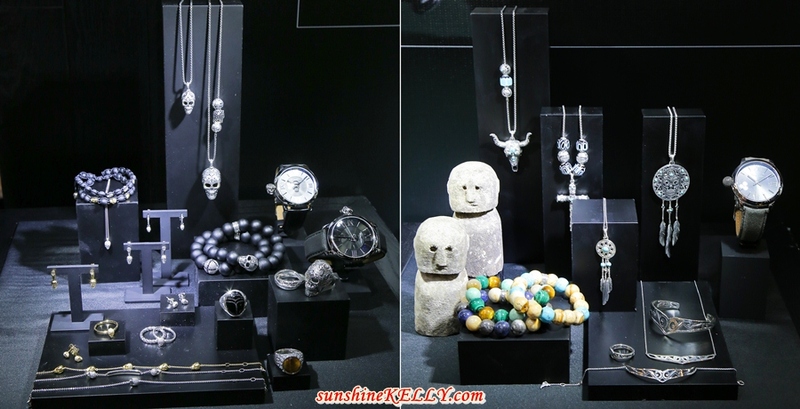 The crown – in the shape of the hugely-popular skull, dragon or Kathmandu Bead – is the eye-catching pièce de résistance. 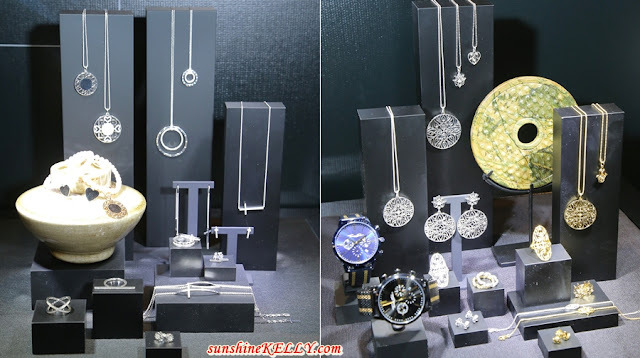 I am loving the new Thomas Sabo collection. Always been fascinated by the loud design and colours of Africa. Really interesting collection with different colours this time. I normally buy their charms for others but first time seeing this. The collections look great. Will get a necklace for my dinner wear. You look gorgeous especially with the Thomas Sabo collection! I love it! It was so simple, so its easy to match with any attire. Babe you look so cantik and the collection looks so good on you. Love the necklace- it is such a statement piece. lovely dress! i love your accessories as well! they match your outfit! Too bad I can't make it to this event. Seem fun. Awww. You are looking gorgeous like always. All the collections look so pretty and i definitely will own them one day haha!